In order to provide efficiency on board a cruise ship, the ship’s personnel is divided into three sections – the Deck, Engineering, and the Hotel. The Hotel Department includes everything that is related to the passenger section, just like in a regular hotel or resort. The Hotel Department is also divided into several sections for ease of fulfilling the various tasks. It includes Food and Beverage, Purser (accounting), Hotel Administration, and the Housekeeping sections. The Hotel Manager, often sometimes called Chief Purser, is in charge of the Hotel Operations. 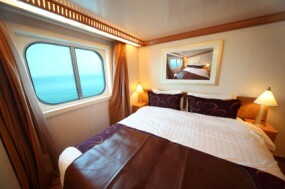 A cruise ship hires many people in order to provide the best of services to its passengers. Many positions are only filled on a short-term basis, which gives many opportunities for people to land a short-term job or gig which can last between one cruise or for years. Expertise in your field is needed to get a cruise job in the Hotel Department, but there are also a few entry-level jobs, too. Those who work in the Hotel Department quickly learn that the work can be hard – and with long hours. Each one will usually have other tasks, too, which are sure to keep you busy. In some cases, the pay is lower – but you are given a free room, and free food, as well as having a chance to see the world.